Kada prasad is made in large quantities in order to serve to thousands of devotees who come to gurdwaras to celebrate Gurpurab. Both langar and kada prasad are distributed as part of seva or community service in the Sikh culture. Guru Nanak Jayanti this year will celebrated on November 23. Gurpurab is the celebration of Guru Nanak, the Sikh guru who laid the foundation of Sikhism. Guru Nanak is also the first of 10 Sikh gurus. Gurpurab is one of the most auspicious occasions in Sikhism and is celebrated on different days every year in accordance with the Indian lunar calendar. This year marks 549th birth anniversary of Guru Nanak. Gurpurab is made up of Gur and Purab, which means Guru and parv respectively. Gurpurab is thus a day which is dedicated to celebrate Guru Nanak. On the day of Gurpurab, celebrations are held in Gurdwaras across the world. As part of the celebrations, langar includes a variety of food items, which are prepared and served to all devotees who wish to join the festivities. Langar is strictly vegetarian food which and at the same time a very nourishing meal. Devotees who prepare the langar take utmost care of cooking it in hygienic conditions. 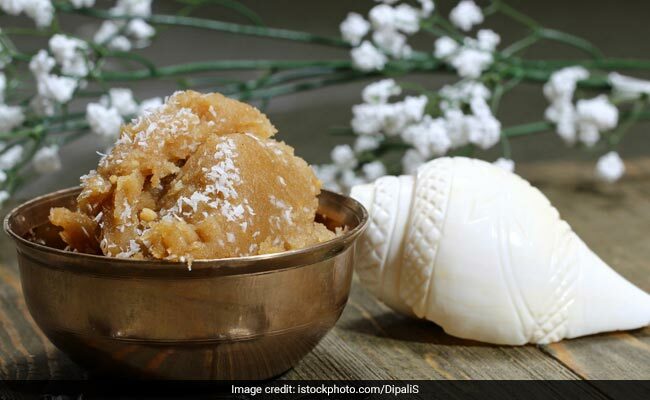 An essential part of Gurpurab celebrations is the delicacy kada prasad, which is a traditional sweet made using wheat flour, pure ghee and sugar. As mentioned above, kada prasad is made with wheat flour, ghee and sugar. It is served in handful quantities to devotes, or even less at times. Kada prasad is made with wheat flour, ghee and sugar. 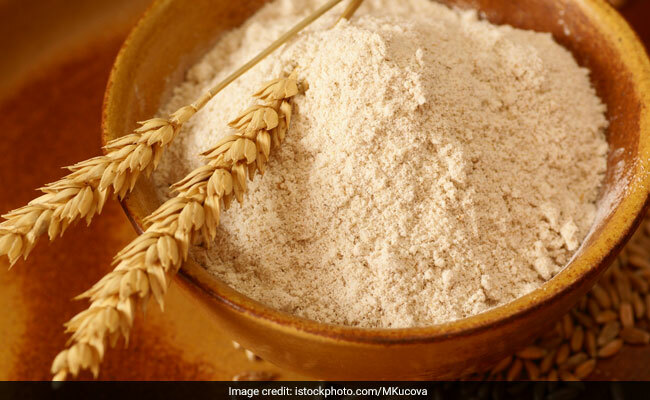 Wheat flour, though high in calories, is also rich in carbs, fibre, fat and protein. It is the flour which is commonly used to prepare rotis in numerous Indian households. Speaking of ghee, well some of the top nutritionists of the country advocate for its endless health benefits. It is a source of essential fatty acids and can help in making you feel energized. On the other hand, ghee is good for brain health and can help in improving flexibility. It lubricates the joints and connective tissues. 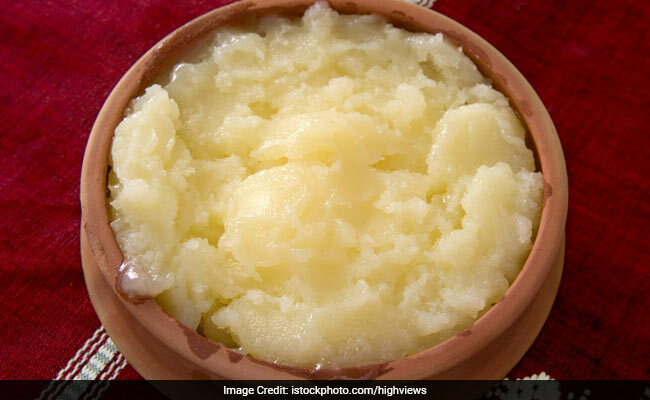 People with cholesterol issues must also include ghee in their diet. Speaking of ghee, well some of the top nutritionists of the country advocate for its endless health benefits. Speaking of sugar, people have numerous doubts and misconceptions in their minds. This is especially for people with diabetes, who feel that even a tinge of sugar is going to be harmful for them. But brace yourselves everyone as the World Health Organisations and other global organisations for diabetes has said that 6 to 9 tablespoon of sugar in a day is fine for everyone. In one of her posts on Facebook and Instagram, celebrity nutritionist Rujuta Diwekar said that that instead of avoiding sugar in the form of sugar-free tea or coffee, people should avoid hidden sources of sugar in breakfast cereals, biscuits and fruit juices to name a few. So, enjoy that handful of kada prasad this Gurpurab 2018, guilt-free! Wishing a very happy Gurpurab to all of you!